One of our most common complaints we here from our customers is when they have bedrooms over a garage. The bedrooms are typically cold in the winter and hot in the summer and not as balanced as the rest of the home. The problem is not the garage itself, but specifically the garage ceiling joists cavities. 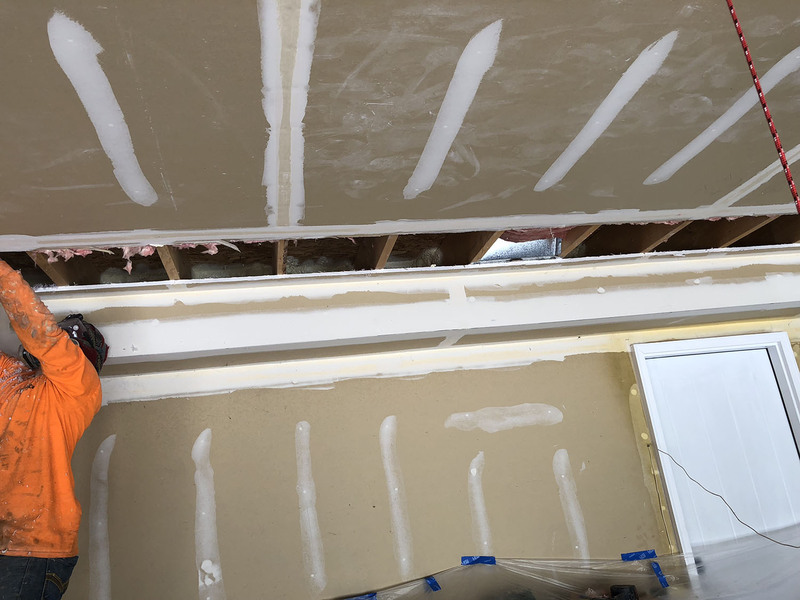 Almost 100% of the time, we find the same problem: The fiberglass batt insulation installed in the ceiling is not touching the floor sheathing above. Typically, the floor joists cavities are 10” deep and a 6” fiberglass batt was stapled to the bottom side of the floor joists. Unfortunately, this leaves about a 3-4” air gap between the top of the insulation and the floor above. If we were to hold a jacket 4” from our skin, we wouldn’t be warm. Insulation is no different. It must be touching what we are wanting to insulate. We call this “in alignment” in the building industry. There are 2 methods to remedy the problem. One is to drill approximately 2” holes into the garage ceiling and attempt to pump more insulation into the joist cavities. While a popular method, it does not work well. We have seen the failed attempts time and time again. 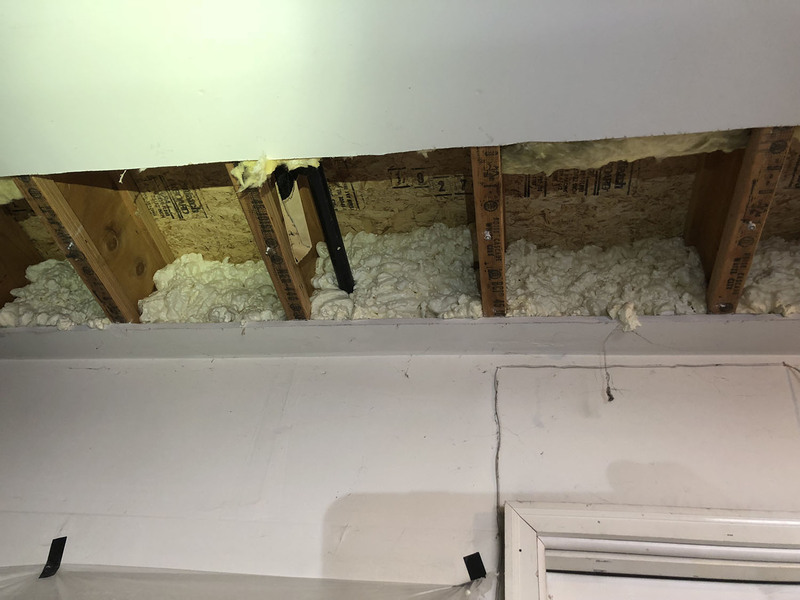 The reason for the failure is there is no good way to get the hoses, nozzle or any other tool through the sheetrock and on top of a 6” fiberglass batt. Some salespeople may say the pumped in insulation will “push” the batt up against the floor. This absolutely does not happen. 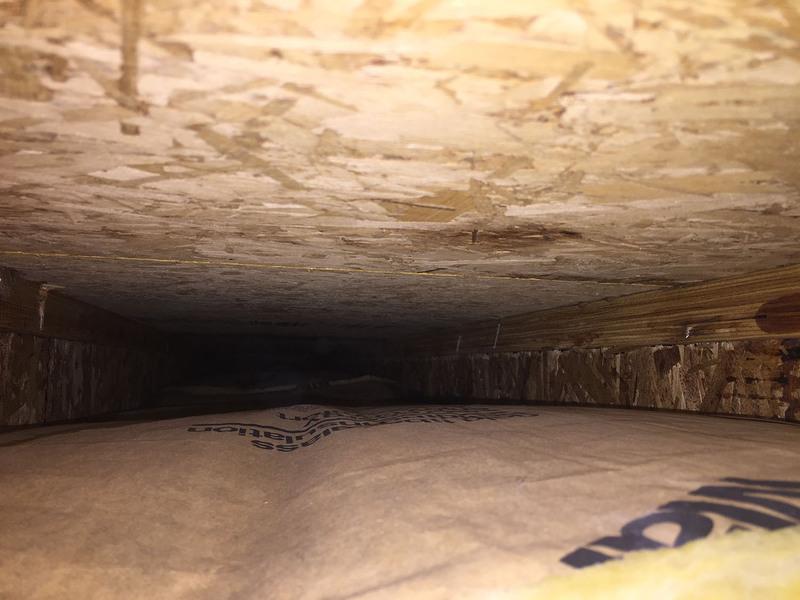 The existing fiberglass batt is paper faced and stapled to the bottom of the joists. It is also sandwiched between the drywall and the joists. It does not move much at all. 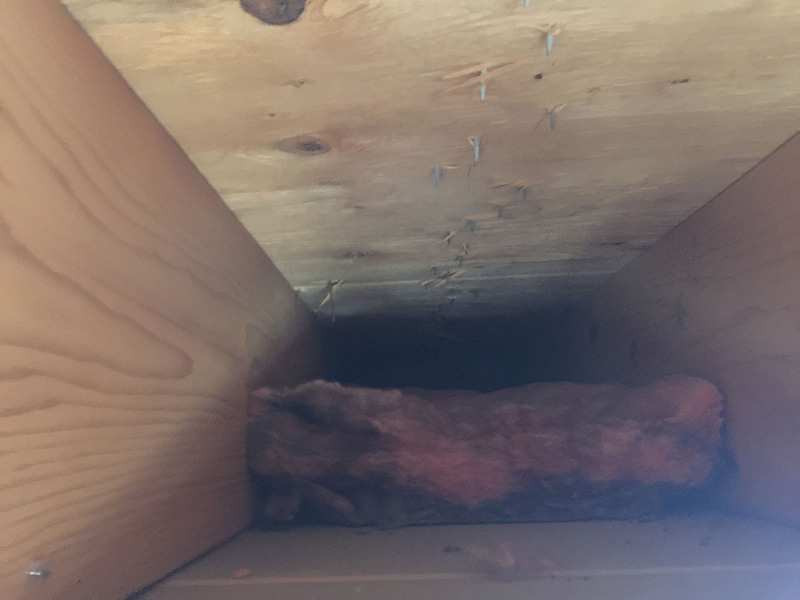 Since we cannot see inside the joist cavities, how do we know what the coverage is? The result is still a lot of air gaps and very poor coverage. The second method is just a quick, costs no more and will allow 100% coverage. 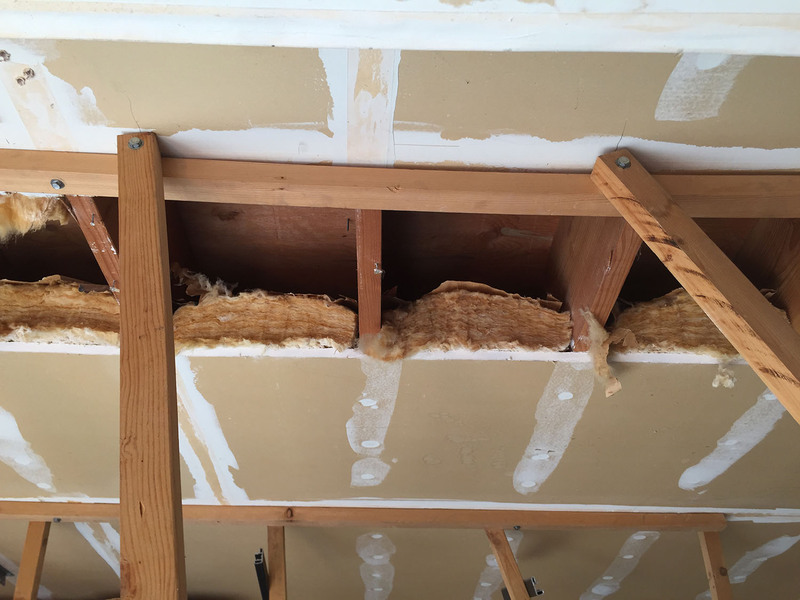 We remove a 16” strip of the existing sheetrock ceiling perpendicular to the joists cavities. Typically, along the common wall/ back wall of the garage. This allows us to accomplish two important things. First, we can block and seal the joist bays into the home. This stops any air from traveling from the garage into the home. Important not just from a thermal standpoint, but also fire, smoke, carbon monoxide and any other chemicals stores in the garage. Second, we then take our hoses and run then ON TOP of the fiberglass batts and dense pack the joist cavity. Since we can physically “see” into every cavity, we can ensure that we have 100% coverage. This is by far the best method. The garage itself: We do receive requests to insulate garages. 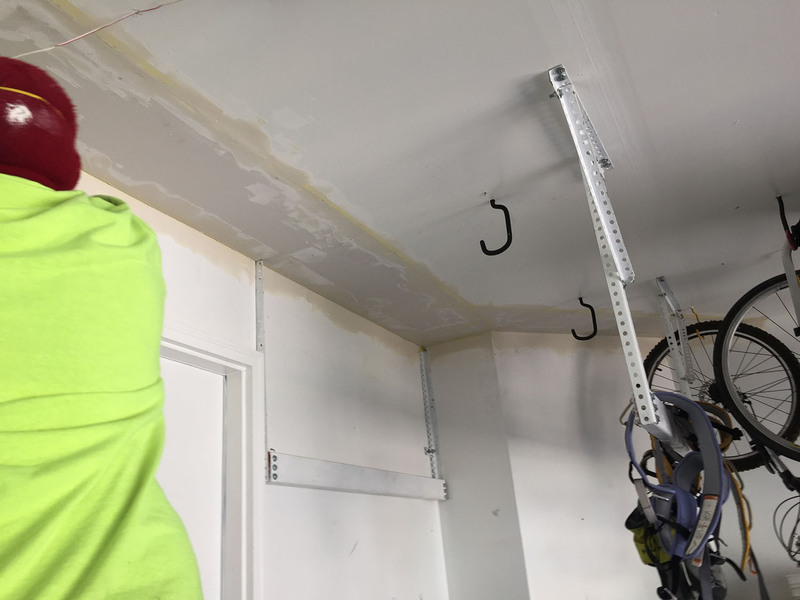 Insulating a garage is not a necessity to the home. However, a garage that is insulated, will provide a much more comfortable space for vehicles, workshop or other uses. The attic space is the main culprit in making a garage hot during the summer and heat loss in the winter. Walls and the garage door if not insulated are the next assemblies that allow heat loss or gain. In most cases, a garage that is insulated will require very little heat to keep it comfortable in the winter. Storage of chemicals, paints and RV’s can be safely stored throughout the winter months.